"I shall not say how I became, at the age of eighteen, the lover of the Queen of Elfland. I lasted no longer than any of the others." Aldo has spent a year in Elfland as the Queen's lover — but he has lived the whole year on bread and water, forbidden to eat any of the magical food at the elves' banquets. 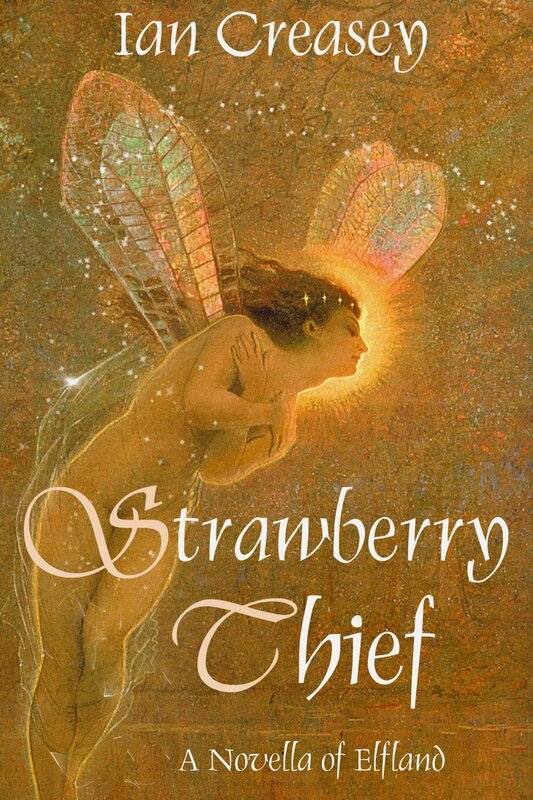 He longs to taste Faerie fruit, so on his last day in Elfland before returning to Earth, he steals a strawberry. The strawberry bushes are owned by a downtrodden imp who used to be human. As penance for his theft, Aldo must help the imp in her quest to regain her lost identity. Along the way, he confronts an army of stalagmites, argues with obstreperous doors, and fights an evil harpist whose songs are made from stolen souls. But all the while, he becomes ever more addicted to the magic of Elfland... and time is running out, if he is ever to return home. 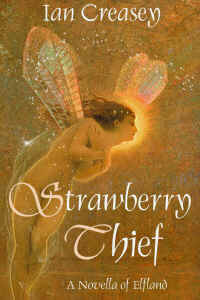 "Strawberry Thief" was first published in the magazine Weird Tales. The novella is 24,000 words long (about 75 pages). For background information about the inspiration behind the story, go here.